Projects - Sun Builders Co.
From community projects to large-scale retail construction, Sun Builders Co. has experience with both remodels and new projects, and we have built quality structures designed to accommodate a range of industries and purposes. 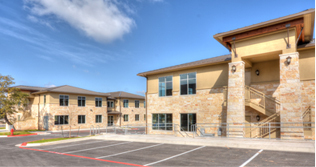 During this major renovation and reconstruction project in Southwest Houston, Sun Builders Co. used custom computer programs to create accurate budgets and strategic construction schedules that allows this project to be completed in less than 180 days. At 340,000 sq ft, with 181,000 of it being new construction, including an 8-screen theatre, this extensive project was delivered ahead of schedule. Featuring a sophisticated fountain and striking boardwalk, this forward-looking project features 650,000 sq ft of retail space and over 1 million sq ft. of concrete parking. Completed in record time for a before-Christmas opening, phased construction was executed long before definitive drawings were available. 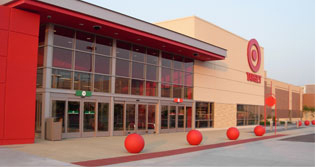 In collaboration with Target’s management and design teams, Sun Builders Co. constructed multiple Super Target Stores, each of which include a full supermarket. 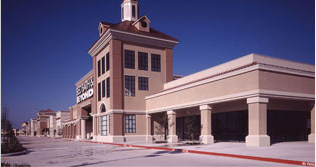 Using tiltwall construction and stone, brick or stucco finishes in accordance with prototype, location and local requirements, these stores were constructed simultaneously and delivered on schedule. Sun Builders Co. continues to play a role in prototype development for many retailers because of our extensive retail experience, our competitive pricing and our value engineering. 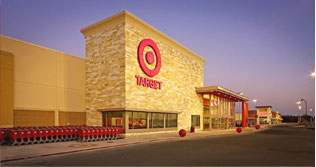 For this 138,000 sq ft., $7.25 million construction project, Sun Builders Co. worked with Target Corporation to construct a new store on 1,200 wood and concrete pilings. 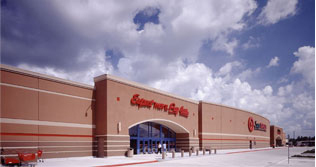 Characterized by tiltwall construction and bricks cast in the walls, this store includes the larger grocery area that marks many new Target locations and is attached to the existing Esplanade Mall. Built for a hurricane-prone area, this structure features high-quality construction and was delivered on time and under budget, despite the fact that the project was unavoidably delayed by closing and demolition of the existing structure. 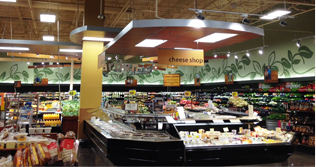 Interior remodels centered on improved refrigeration. The addition of produce and dairy coolers, walk in coolers and freezers and versatile market cases gave these stores the ability to stock fresh produce, meats, deli, dairy, frozen foods, and dry staples. During the infancy of Sun Builders Co. , the majority of our business was grocery store construction and it continues to be a large part of our construction portfolio. This 124,000 sqft Kroger Marketplace Store is a welcome addition to the small town’s shopping choices. Designed for the coastal region; block walls with brick and stone cladding, conventional steel structure, improved roofing system and polished integral colored concrete floors create the store envelope. Wine, Cheese and Beer Tasting Bar, Seafood Department complete with steamer, Floral, Bakery, Deli and Pharmacy are just a few of the innovative offerings at this Kroger Marketplace Store. 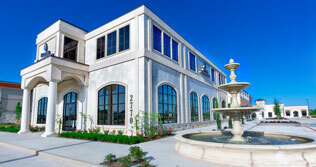 Office / Retail mixed-use complex for Flodder Financial. The project consisted of 2 acre site containing two tilt wall office/retail buildings totaling 21,133 sf and high end office fit out including groin vault/barrel vault & tray ceilings, stone columns, marble/granite/slate finishes, radius crown moldings and custom millwork. This $1.8 million facade remodel provided a welcome update to an existing property. This attractive update was completed collaboratively to ensure that construction on the property had the least possible impact on the operations of the existing businesses. Ultimately, our efforts paid off, and the finished product put a new shine on an older property. 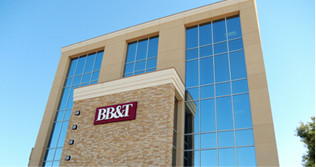 Two 2-story buildings for 24,000 sqft total, complete with elevators, for Long View Equity Partners in Cedar Park, Texas. Natural finishes with a metal roof create a tranquil and functional hill-country style medical office complex. 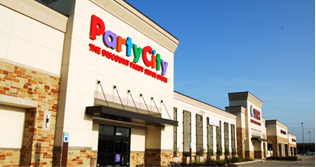 Shopping center renovation of approximately 180,000 sqft at Four Corners in Tomball, TX. From conception estimates through construction completion, Sun Builders provided key support for this complex shopping center renovation. 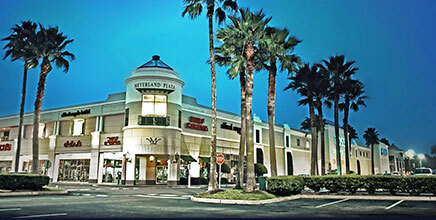 Warm stone and EIFS with dark bronze metal canopies and trellises - a welcome update to this 1980's shopping center. 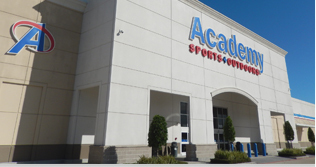 New ground up Academy Sports + Outdoors consisting of 70,546 sf tiltwall building shell, truck dock and 100% interior fitout. Old movie theater was demolished to make room for new Academy building shell which was constructed in existing shopping center with occupied tenants on either side of new building shell. 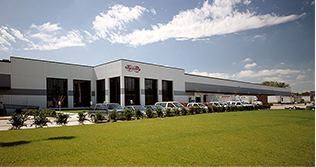 A state-of-the-facility for auto sales and service, Sun Builders Co. worked with Industrial Developments International to build a CarMax Auto Superstore development in South Houston featuring approximately 53,000 sq ft in cumulative building space. 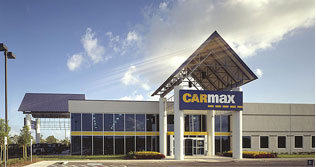 The alternate tilt-up construction techniques implemented by Sun Builders Co. ultimately saved the client both time and money, and Sun Builders Co.’s input had a significant impact on the prototype for future CarMax Auto Superstore developments. 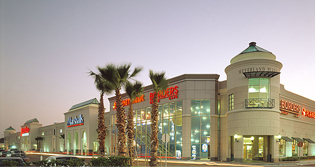 Sun Builders Co. constructed five new prototype stores and renovated two existing stores. 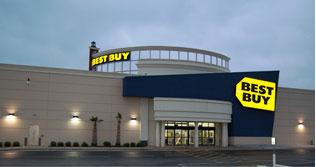 Each store contains 46,000 sq. ft of retail space, and they feature a variety of structural systems, including block and concrete tiltwall construction. 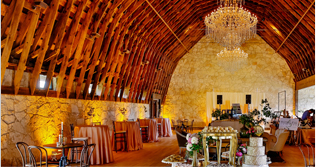 Collaborating with the owner, Austin attorney Dan Ross, and design team, Sun Builders completely restored and transformed a dilapidated historic barn to create a tailor-made event center for weddings, functions and special events of all kinds. The Brodie Barn in Sunset Valley, TX (Austin) has been a landmark to Austin residents since it was built in the 1940’s. The adjacent Brodie Homestead was also entirely renovated to create quaint retail/office space, all part of this master planned project. This high-tech, 12,000 sq. 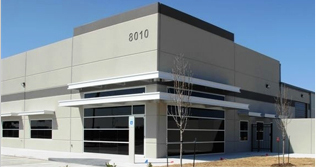 ft. office/warehouse featured cost-effective measures to improve aesthetics, security, and durability. Facilitated by Sun Builders Co., the architects and engineers applied full-height tiltup at the offices and tiltup wainscoting at the warehouse to the perimeter metal building framework. Construction of a new 163,000 sq.ft. tiltup warehouse for Weingarten Realty Investors for their tenant, Distribution International. The structure is located in Railwood Industrial Park, Houston, Texas. The specific operation requirements of the tenant challenged the design team and Sun Builders Co. to devise a cost effective, functional building. Sun Builders Co. provided multiple comprehensive prices for the preliminary design trials, for use in the planning process. 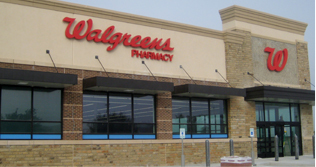 New prototype Walgreens Store including 1.5 acre site, private & public utilities, street work, 14,820 sf tiltwall building shell with stone veneer, custom canopies and 100% interior fitout including polished concrete floors, Pharmacy and Consult Room. 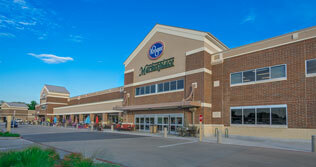 Kroger remodels focus on an interior facelift to an existing store. New paint, décor, lighting and refrigeration is added to ensure the most efficient layout for the customers. Sun Builders has brought value engineering to the table on several of these remodels saving Kroger time and money. For the construction of a new day care facility, Sun Builders Co. worked with client Nasa 4 Enterprises to produce an 8,900 sq ft facility on a $950,000 budget. This project features brick with stone accents, constructed around a metal building frame. 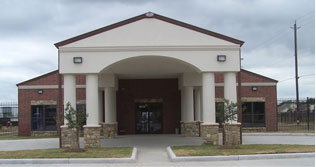 The facility features multiple classrooms, a teacher lounge, a cafeteria, a library and a small gym. The property is fenced for safety and features a water park. 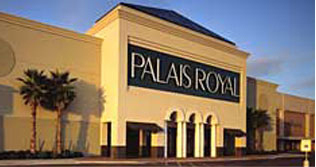 The existing storefront and fascia of this Palais Royal store in the Meyerland Plaza Shopping Center in Southwest Houston underwent drastic renovation and modernization during this project. The strict production schedule was met milestone for milestone throughout construction, and the functional access to the existing retail spaces was maintained for the duration of the project.